Zaria, Moses Murtala Aminu, has been shot dead by a policeman. home as he was killed by a police constable. jeans trousers and fired straight into his heart. scare the people around and escaped on his motorcycle. after Muri was shot and Okpe, the policeman, had escaped . One at Barnawa," Andrew said. According to him, they quickly moved to X-One and fortunately met her there. officers from Barnawa Police Division after the case was reported there. 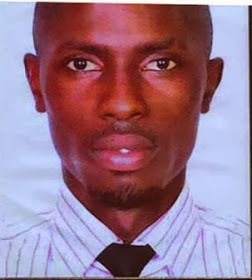 interrogation confessed to have killed Murtala Aminu at a party venue. defence" when he and his friends were trying fight him over his girlfriend. guilty, he would be dismissed and taken to court for trial. he can face the law for homicide," the state police boss said. death of his son and bread winner as an act of God. who should have been responsible for protecting him. but I want justice done in this case," Aminu said. He also owned a shawamar and roasted fish outlet at Narayi-Highcost.